This article by Fallan Patterson appeared in The Sun-Sentinel. Elisa Lejuez scours the northern beaches of Aruba for natural material for her artwork. She tries to beat the beach cleaners poised to clear the sand of driftwood, rocks and other material before tourists arrive. Lejuez created a series of pieces inspired by her native land’s cave paintings, which she toured and photographed before creating silk screen printings and combining them with healing stones, driftwood and rocks. “They were very inspiring to me,” she said of the caves. 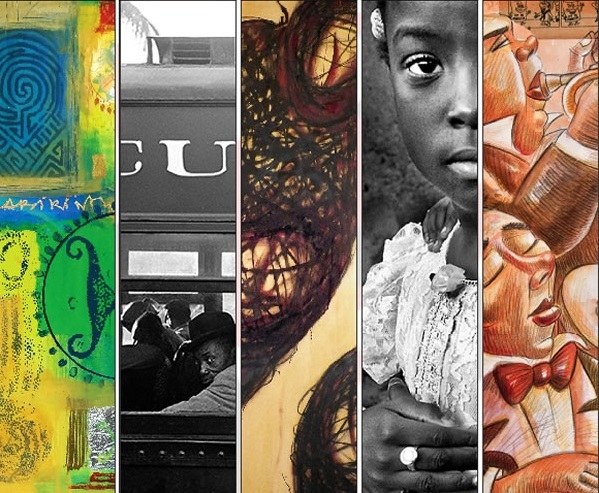 Lejuez’s artwork is on display in “Caribbean Colorful Diversity,” an exhibition celebrating Caribbean American Heritage Month and running through Aug. 28 in the Ansin Family Art Gallery at the Miramar Cultural Center.